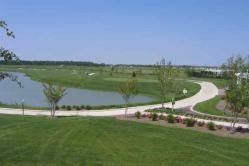 Heritage Shores in Bridgeville is a luxurious golf community situated in beautiful Southern Delaware. 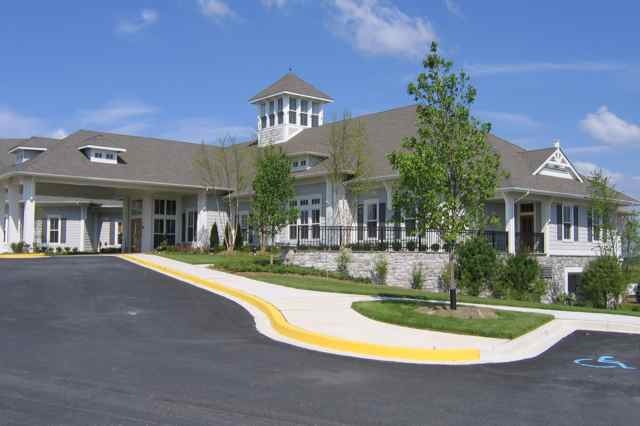 Located in Sussex County, Heritage Shores is one of Southern Delaware’s premiere active adult communities. This country club community is sure to impress with amenities such as its Arthur Hills 18-hole championship golf course, its beautifully-appointed clubhouse and its scenic grounds. The community will also win over homebuyers with its diverse residences, including a special custom lot program. Heritage Shores is designed to support an active adult lifestyle with amenities which begin at the 28,000 square-foot clubhouse. This beautiful facility features a casually elegant restaurant and bar, a multipurpose ballroom and several hobby and game rooms. There are billiards and card rooms, an arts and crafts studio, a woodworking shop, a library and a media center with computers. Adjacent to the main clubhouse, the Fitness and Aquatic Center is an ideal place to stay in shape. The state-of-the-art fitness center includes cardiovascular and strength-training equipment, an aerobics and dance studio, and an indoor lap pool. Outdoors, the amenities continue with tennis courts and a resort-style swimming pool with a spacious sundeck. Winding throughout the community, across 7,005 yards from its longest tees, Heritage Shore’s 18-hole championship golf course was designed by Arthur Hills to be both challenging and enjoyable for golfers of any skill level. A golf pro shop is located in the Fitness and Aquatic Center to keep resident golfers fully equipped. Golfers can also arrange lessons to help take their game to the next level. Active adults will appreciate the various amenities found within the community, including the 18-hole championship golf course, which was designed by Arthur Hills. In 2004, Heritage Shores originally began under a partnership of Brookfield and Lennar Homes. Today, Providence of Brookfield is the community’s primary developer, while some sections also feature residences built by Ryan Homes. Upon completion, the community is expected to contain approximately 2,000 residences including both single-family and attached homes. New construction homes at Heritage Shores include numerous floor plans designed by both Providence of Brookfield and Ryan Homes. Single-family layouts range in size from 1,297 to 3,000 square feet and are available in both one- and two-story designs. Two floor plans for duplex homes range in size from 1,403 to 1,665 square feet. There are also a limited number of premium lots which can be purchased for custom homes, built by Providence or an outside builder. Outside of Heritage Shores, residents will find plenty to do in the city of Bridgeville. This charming area has shopping centers, restaurants and cultural attractions. The ocean shore is less than 45 minutes away, along with all the attractions of popular Rehoboth Beach. For day or weekend trips, it’s easy to plan a visit to nearby hot spots like the Chesapeake Bay, Baltimore, Philadelphia or Washington D.C. Active adults who plan to retire in tax-friendly Delaware won’t want to miss the amenities that await at Heritage Shores. With a prime location and plenty of things to do, Heritage Shores is clearly a great place to enjoy a healthy, active retirement.